A Grateful Attitude Never Goes out of Style! This time of year provide us with the opportunity to reflect and express gratitude to those who have impacted our lives. Your support as an advocate for our business has been vital to our success as a real estate professionals. We are truly grateful to have you in our lives. Being your trusted real estate professional is an honor and a privilege through which we hope to strengthen our relationship and take care of your home and community-related needs now and into the future. Please call on us any time we may be of assistance to you. 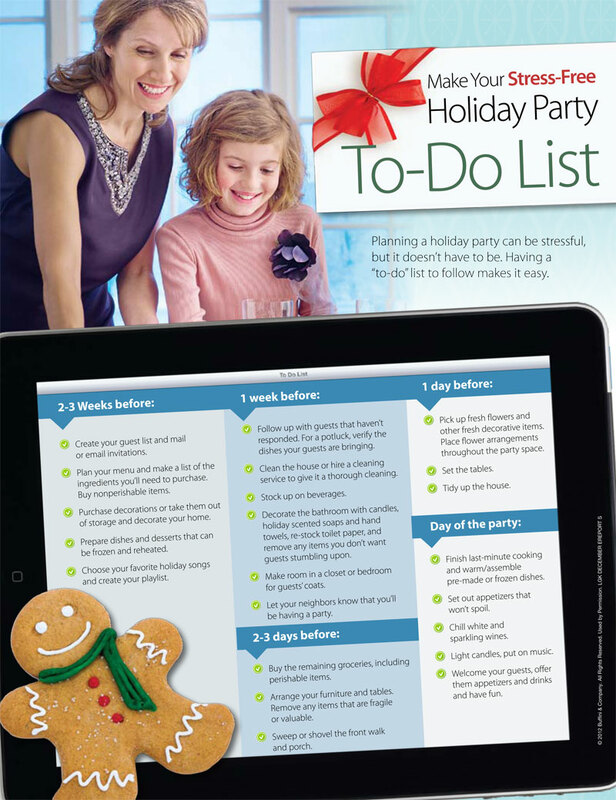 Tips on planning a successful “holiday party” is intended to get you in the mood to celebrate with the ones you love; create your guest list, foster a festive holiday atmosphere and plan your menu. Don’t forget about music and party favors too. We hope this will inspire and benefit you at this special time of year. Oh, by the way … if you know of someone who would appreciate the level of service we provide, please call us with their name and number. We’ll be happy to follow up and take great care of them. Check it out: One of our preferred Providers—Witte Home Solutions! Bob and Rob Witte have developed a client-centered contracting business that has served Richmond for more than 35 years. They have performed numerous projects for us and our clients, with jobs ranging from modest repairs to full blown additions. They consistently come through for us by meeting or exceeding our expectations. If you are considering repairs, renovations or alterations in the coming months we hope you will consider giving the Wittes a call. We’d be happy to speak with you further about the successes we have had with them.